Painting Projects - What are u working on? 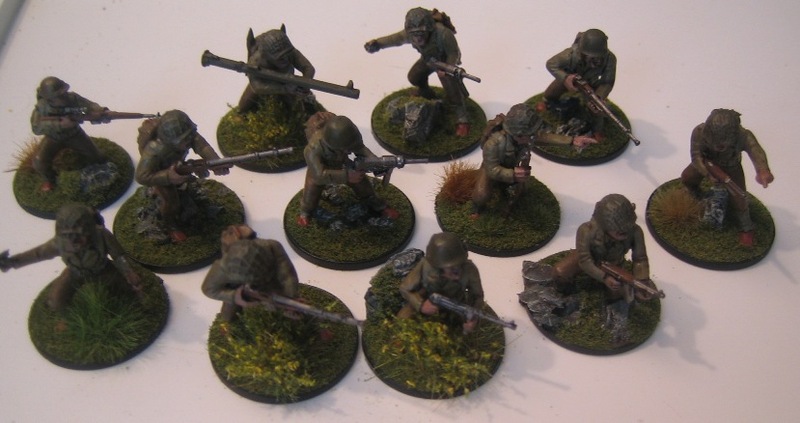 have been lying around, with my Bolt Action WW2 Yanks finally done! bushes & weeds to bring them to life ... looking forward to getting them into the thick of the action ... War ON! About to start on my new Kingdom of Brittania aircraft carrier for Dystopian Wars. A lot of BARs and smg in there ????? Good stuff ... any pictures? that goes within a professional level. come back to them in another session when I'm not focusing on painting others.